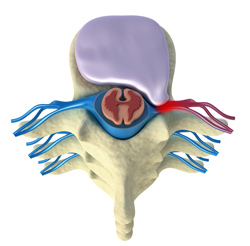 Hip, Groin & Buttock pain is complex due to the sheer number of structures which converge into this area. There are muscles from both the legs and the trunk, as well as ligaments and tendons, a complex ball and socket joint and many blood vessels and nerves passing into the legs and pubic area. Some people may feel pain in the hip, groin, lower back, abdominals or legs . This is because the hip and groin ‘refer pain’, which is where pain experienced in one area of the body is actually generated in another region. It is important that referred pain is diagnosed correctly to ensure the correct treatment. Physiotherapy has been shown to help hip and groin pain and can delay the need for surgery, physiotherapy is advisable, especially if the condition is not settling. Your hip function can also be affected by lower limb bio-mechanics involving your knee, foot and ankle plus your thigh and calf muscles. Sciatica, stress fracture, muscle strain, adductor tendinopathy, core stability deficiency, femoroacetabular impingement, groin strain, fibromyalgia, arthritis, hip labral tear, osteitis pubis, osteoporosis, overuse injuries, pinched nerve, piriformis syndrome, sacroiliac joint pain and trochanteric bursitis.